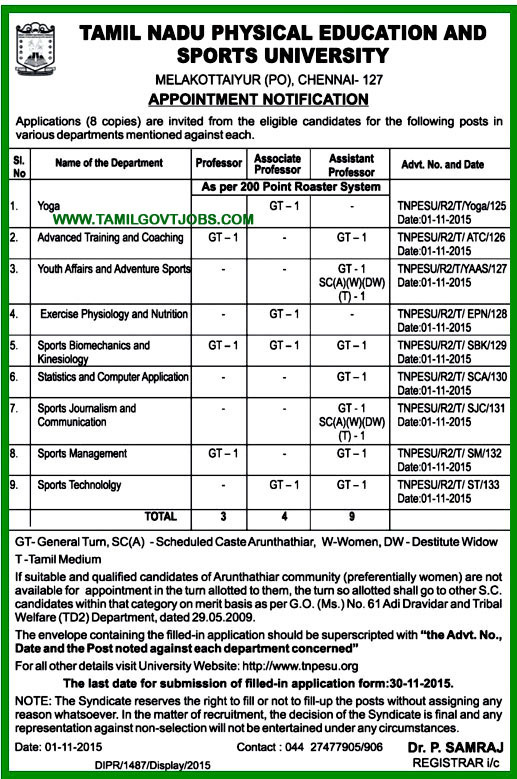 Tamilnadu Government Jobs Tamil Nadu Government Jobs: Tamil Nadu Physical Education and Sports University - Professor, Associate Professor And Assistant Professor Posts. Tamil Nadu Physical Education and Sports University - Professor, Associate Professor And Assistant Professor Posts. Five (8) set of application alongwith enclosures should be submitted. Age relaxations are applicable as per Govt of Tamil Nadu norms. Apply with set of 8 copies.